This is EBC’s flagship pad, probably because it’s so versatile. Muscle car drivers, rev up your engines. 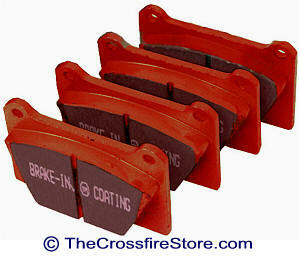 With EBC Red Stuff Brake Pads, your ride is perfectly-equipped to stop on a dime with no screeching. 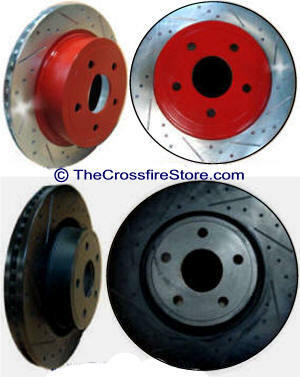 Keep your high-octane vehicle performing its best—whether or not it’s race-ready—with the simple investment of Red Brake Pads. The ceramic blend in these performance pads is engineered specifically for high-end European autos, muscle cars and other lean, mean street machines. When you’re rippin’ up the streets in your sporty ride, speedy brakes are essential for sudden stopping. 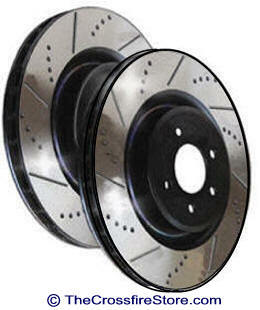 Equip your high-powered auto for world-performance braking with EBC Green Stuff Brake Pads. This simple addition to your brake calipers brings immediate pedal response anytime you have to screech to a halt. As soon as your foot touches the pedal, your Green Stuff Brake Pads from EBC immediately respond – biting hard to deliver serious grip. 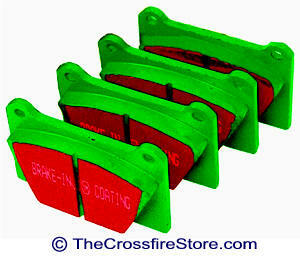 Contrary to the screeching that often accompanies sudden stops, these Green Brake Pads ensure a stealthily silent stop. The combination of a center-slot muffle, beveled edges and factory-fitted shims contribute to quiet brakeage every time. In addition, these performance pads produce little dust, averaging 30-percent less than factory-installed pads. Upgrade your stopping power with the added control provided by Performance Stainless Steel Brake Line Kits. Overtime, your old stock flex lines can expand, which leads to decreased response time and a softer pedal feel. By upgrading to Performance brake lines you get the improved feel and responsiveness that you have been missing. Performance Stainless Steel Brake Line Kits are constructed with a Teflon inner line that resists expansion under pressure and will not degrade from exposure to brake fluid. Plus, your Performance Stainless Steel Brake Line Kit features a stainless steel braid that supports the Teflon and protects against incidental impact and abrasion. On top of this, they add a clear abrasion resistant cover, so you get impressive protection against chaffing. When you're looking to upgrade your braking power, turn to a Performance Stainless Steel Brake Line Kit. They're 100% tested to 4500 psi and DOT approved. Backed by a 90-day warranty against manufacturers defects.